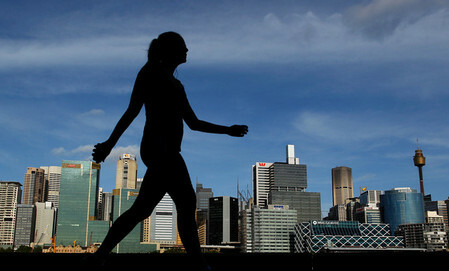 Australia’s economy slowed last quarter on the weakest consumer demand in 2 and a half years and tighter government spending, validating the central bank’s decision to cut interest rates. Third-quarter gross domestic product advanced 3.1 percent from a year earlier after a revised 3.8 percent expansion in the April to June period. Growth was 0.5 percent from the previous three months, when the quarterly gain was 0.6 percent. The report covers a period when companies including BHP Billiton scaled back mining projects in response to lower commodity prices. Reserve Bank of Australia Governor Glenn Stevens lowered rates four times this year to help support consumption and housing as an elevated currency extended a slump in manufacturing and services, and the government sought spending cuts to eliminate a budget deficit. The local dollar fell after the report and was trading at 1.0473 US dollars compared with 1.0477 dollars before the release.